There never was a truer statement especially when it comes to the eating habits of the men in my life. My father disliked the flavour of aniseed and refused to take us out to eat. He had to tour frequently in his job and had to eat in all sorts of eateries, and when he was home, he only wanted to eat what my mother cooked. It never occurred to him that we, particularly my mother, would want to taste something different and enjoy a respite from cooking. My husband hated anything that was gooey in texture; I can understand him not wanting to get liquid egg yolk on his moustache, but not his avoidance of porridge, ice cream, and fruits like mango. My son has a long list of foodstuffs he abhors, which includes all seafood, nuts, fruits, and most vegetables. I do not mind him not eating the first three, but I try to draw a line when it comes to vegetables. 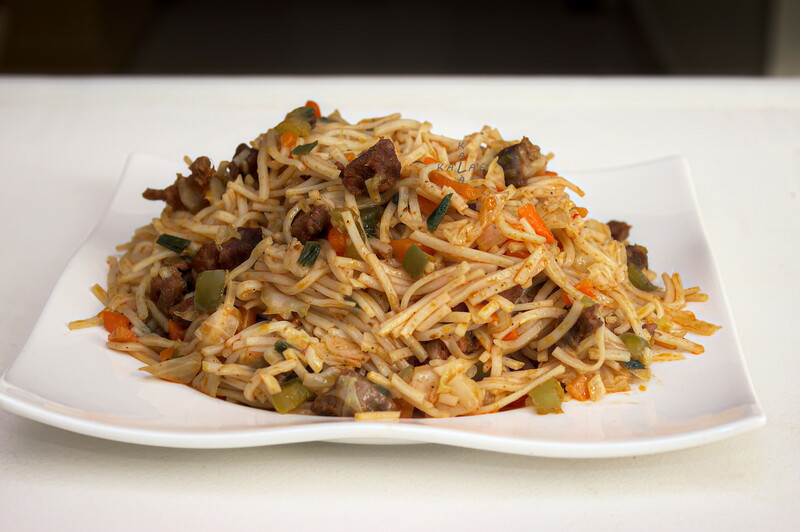 I noticed that he tolerated capsicum and cabbage in noodles and that inspired me to create this recipe. A very long time ago, before prohibition was imposed in India, shops selling toddy (palm wine or kallu as it is called in Tamil), were prevalent in Tamil Nadu. Households bought fresh toddy for the preparation of aappam, and people still recall with nostalgia the aappams made with toddy. These toddy shops were in the habit of serving along with the toddy, spiced fried eggs to entice customers. 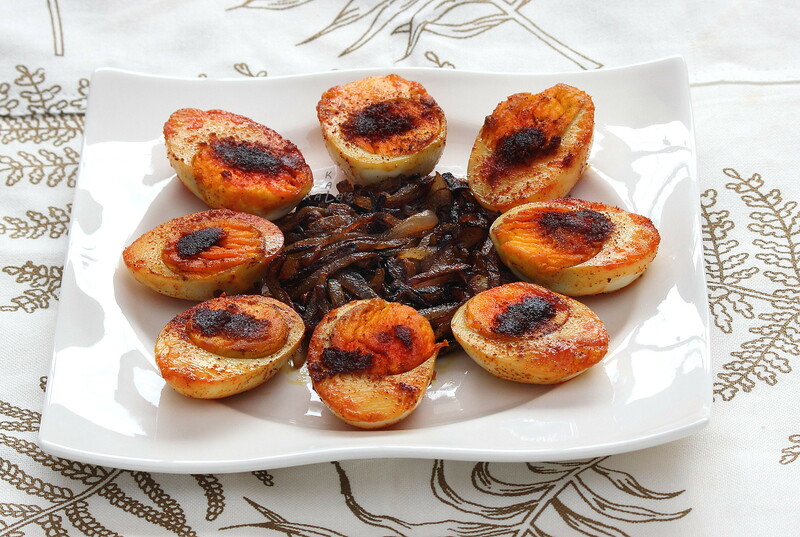 This preparation came to be called Kallu Kadai Muttai. 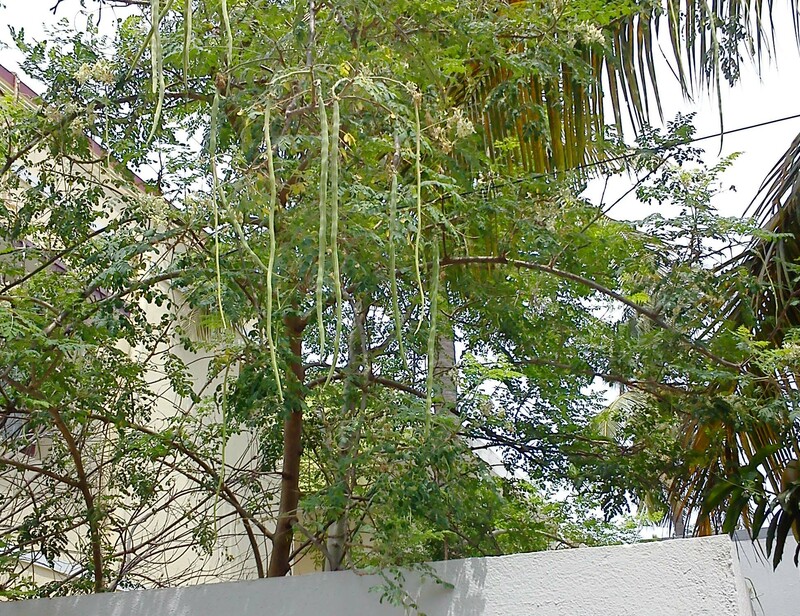 The drumstick tree is a common feature in many home gardens in Tamil Nadu. Even tiny houses tend to boast drumstick trees, braving the itchy caterpillars the tree plays host to after the rains. The drumstick leaves are highly nutritious, the most significant nutrient being Vitamin E, which is a powerful anti-oxidant. In Tamil households when ghee is made by melting butter, drumstick leaves are added to the melted butter to prevent rancidity. 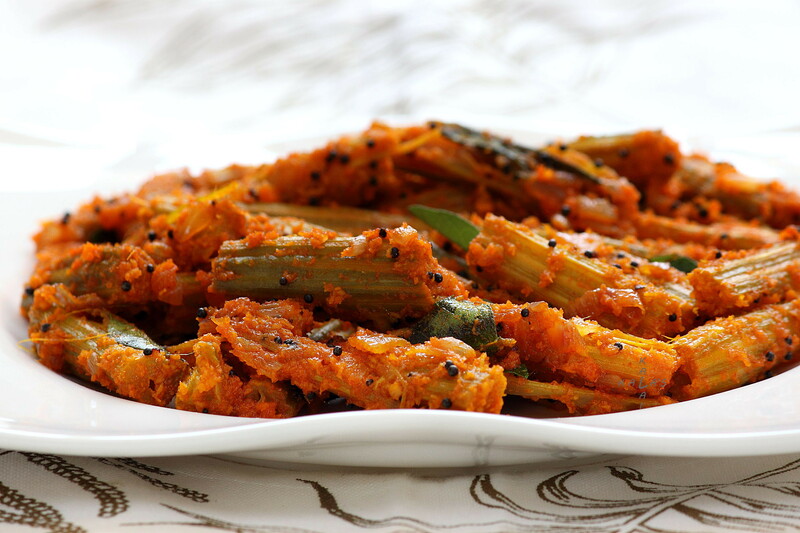 The fruit of the tree, the actual drumsticks, are used in several food preparations in combination with other foodstuffs as in the Sambar, Aviyal, Poriyals and Meat Kozhambu, or they are used alone. One morning my neighbour rang the doorbell and presented me with freshly plucked drumsticks from his tree. They were so tender I decided to make a poriyal. 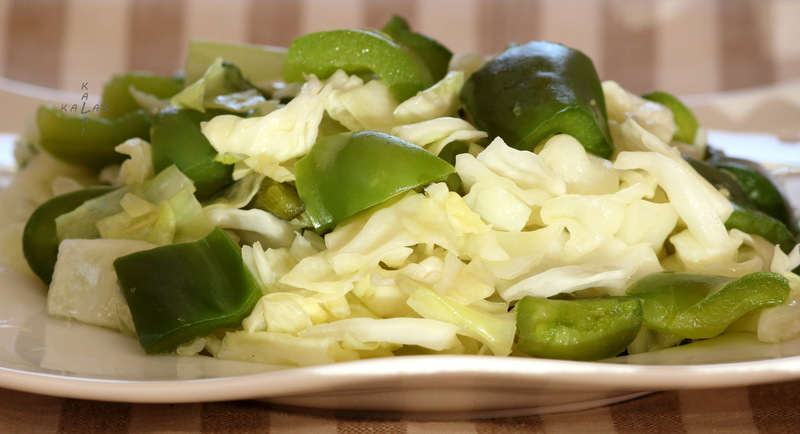 This is a recipe used in my mother’s family for drumsticks, but it can also be used for vegetables such as broad beans, cluster beans, brinjal, and fresh field beans. It’s so simple that it can’t go wrong.